The adjoining owners of this property in Kensington have likened it to a beach hut and claimed that it has a harmful impact on the area. Many people assume that if their property is not listed they can do whatever they like to its appearance, but this case highlights the restrictions on properties in 'Conservation Areas' and the powers the Council have to impose restrictions in these areas. In this case, the Council used their powers under Section 215 of the Town and Country Planning Act which gives them the power to order the clean up of land or buildings if their condition is considered to be adversely affecting the local area. It is always worth checking with the Council before any changes are made to the external appearance of properties within Conservation Areas to avoid the potential wrath of your neighbours and an expensive court case! 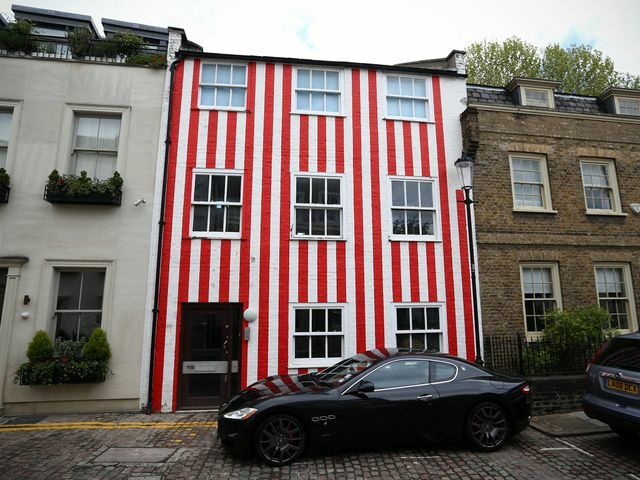 The red and white stripes on the front of a multi-million pound townhouse in central London will have to be painted over after its owner lost her court battle to save them.